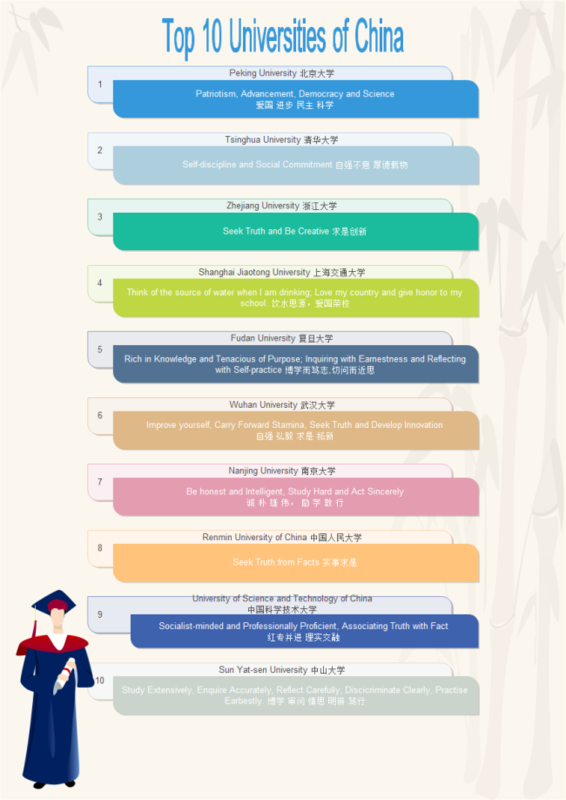 Description: A list of the top 10 universities of China. It also includes the school mottos of the top 10 universities. You can download it for free.